Ready to spend some quality time on Croatian soil? Whether you are with family or on your own, here are three exciting paths to pursue in the country that is no stranger to thrill and enjoyment. Prepare yourself for a truly great experience. 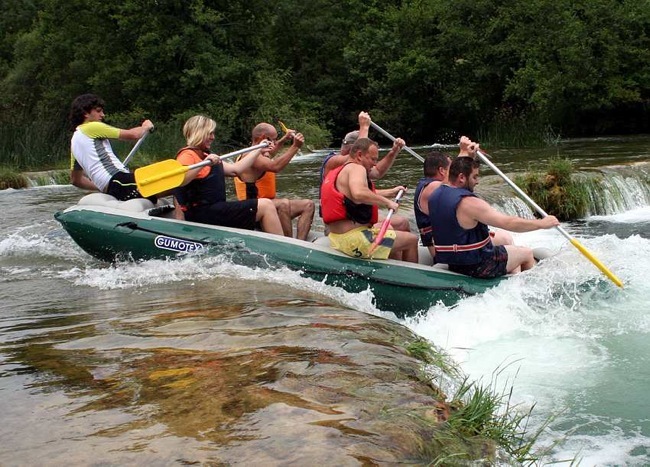 For numerous centuries, river Cetina has been an inspiration to local populace. The river bonds strong currents with gorgeous natural sceneries, and as such is a perfect terrain for canoeing. A three-hour tour will be both exciting and fulfilling, yet won’t exhaust you to the point that you need a day of rest. Possibility of organized barbecue lunch or dinner in the outdoors is also an option. Your canoe is waiting for you. Grab the oar and reserve your spot in the vessel. Proclaimed a natural reserve in early eighties, Biokovo Mountain and its surrounding landscapes are among the most beloved excursion areas in Croatia. A perfect locality for a day trip, the elevation above Makarska settlement provides a gorgeous view of Adriatic Sea, but also awes with its botanical garden, old churches, archeological digs and karst pits. Full of trails that go through thick pine forests, Biokovo is truly a locality well worthy of your time in Croatia. As a very influential nobleman family of Croatia, Zrinski took part in many historical intrigues. They also had much wealth, some of which was acquired from their mining sites. One of these can be found on Medvednica Mountain, which divides the Capital of Zagreb from Zagorje Region. In past days, its tunnels were full of hard-working miners in search for silver. Today, it is a unique tourist location, where people can learn about techniques used for extraction of valuable materials, and what life of an average miner looked like. Take your pickaxe and watch the step. These were three exciting paths to take in Croatia. Visit our website Croatia Tickets for more thrilling experiences that you can immediately arrange during your stay.